When you’re the richest man in India, and the fourth-richest man in the world, you can pretty much do what you want. For Mukesh Ambani, what he wants to do is fairly reasonable. He eats home cooking. He dresses like a normal Indian male and not a billionaire jet-setter. However, Ambani has indulged in one area of his life: the family home. The family was living in a converted 14-story apartment building while their dream home was being built, but that dream home is finished. 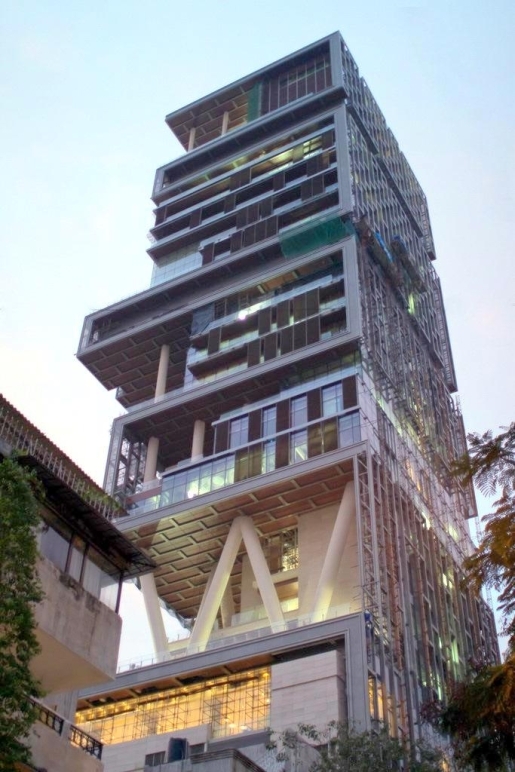 Mukesh Ambani’s home, Antilia, is the world’s first billion-dollar home. Now, the construction of the home was fairly reasonable. It only cost about $70 million to construct the monster 27-story home groaning with every modern amenity, from three helicopter landing pads to a full-sized movie theater, home gym, a ballroom, and an indoor swimming pool. There’s also parking for 160 cars, just in case he wants visitors. It requires a staff of 600 to keep Antilia running smoothly, but when you’re worth nearly $29 billion dollars, that’s not much of an expense.